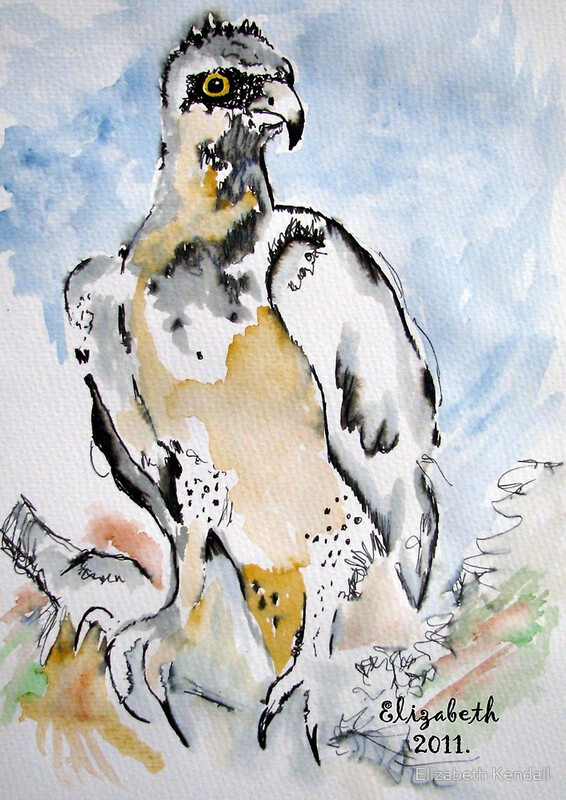 My art: Birds of prey are, like eagles, birds that hunt for food primarily on the wing, using their keen senses, especially vision. They are defined as birds that primarily hunt vertebrates, including other birds. Their talons and beaks tend to be relatively large, powerful and adapted for tearing and/or piercing flesh. In most cases, the females are considerably larger than the males. 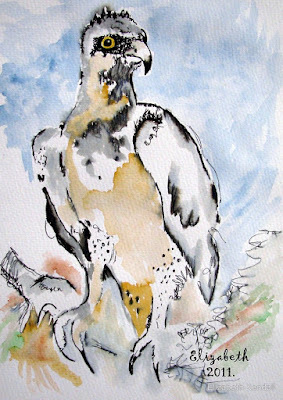 The term “raptor” is derived from the Latin word rapere (meaning to seize or take by force) and may refer informally to all birds of prey, or specifically to the diurnal group. Because of their predatory lifestyle, often at the top of the food chain, they face distinct conservation concerns. 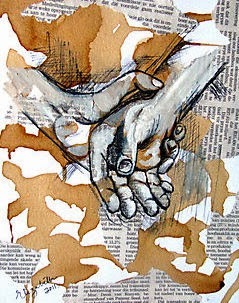 Pen and ink, gouache paint on waterpaint paper. The grey-headed kingfisher (Halcyon leucocephala) has a wide distribution from the Cape Verde Islands off the north-west coast of Africa to Mauritania, Senegal and Gambia, east to Ethiopia, Somalia and southern Arabia and south to South Africa. 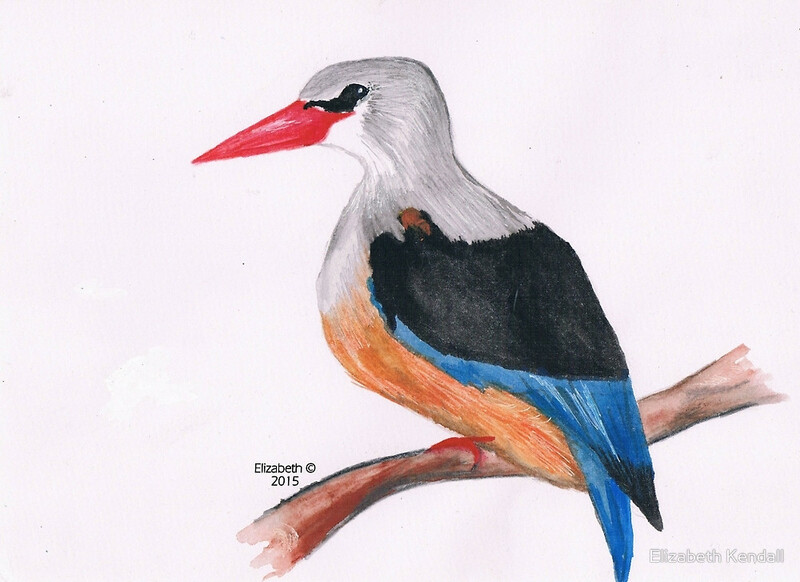 My love for birds was the inspiration to paint this colourful bird. Watercolour on 190gsm paper. Keelvlekvlieëvanger / Chinspot batis. Waterpaint on 300 g/m Daler Rowney paper. 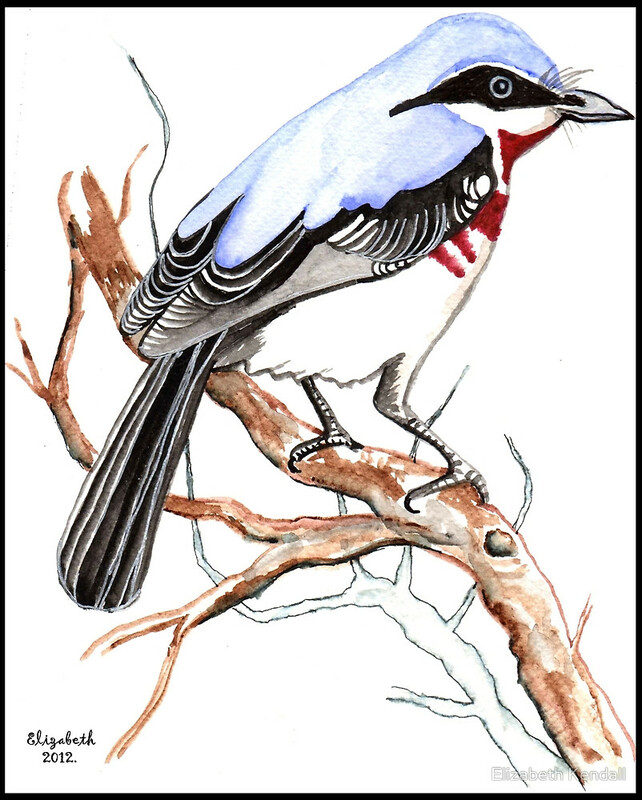 The White-winged Flufftail (Sarothrura ayresi) is a very rare African bird in the Rallidae family. 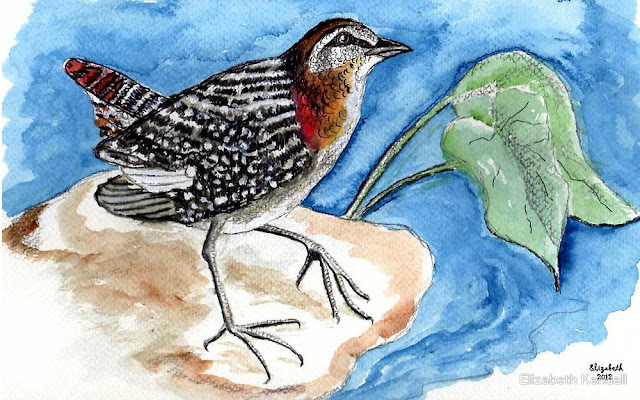 Despite efforts over the last few years by conservationists in South Africa and Ethiopia, there is still a lot that is not known about the critically endangered White-winged Flufftail. 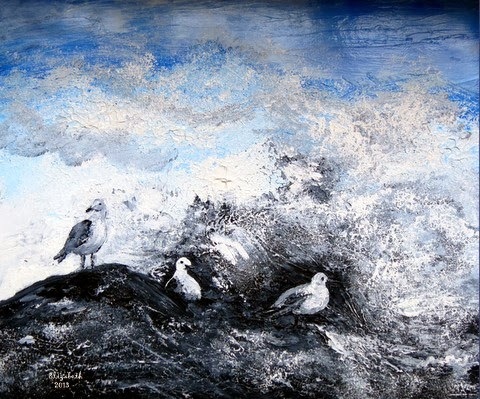 Beautiful sketches Liz, there's always inspiration to be found when birds are near! Thanks so much Maree, so true!